In 1998, Alexander D. Kroo suggested the idea of creating a philatelic organisation to Prince Rainier III. His aim was to unite all the collectors who had convened in the Principality to exhibit major philatelic rarities. He did not wish to create yet another association in Monaco, but a truly international elite club. 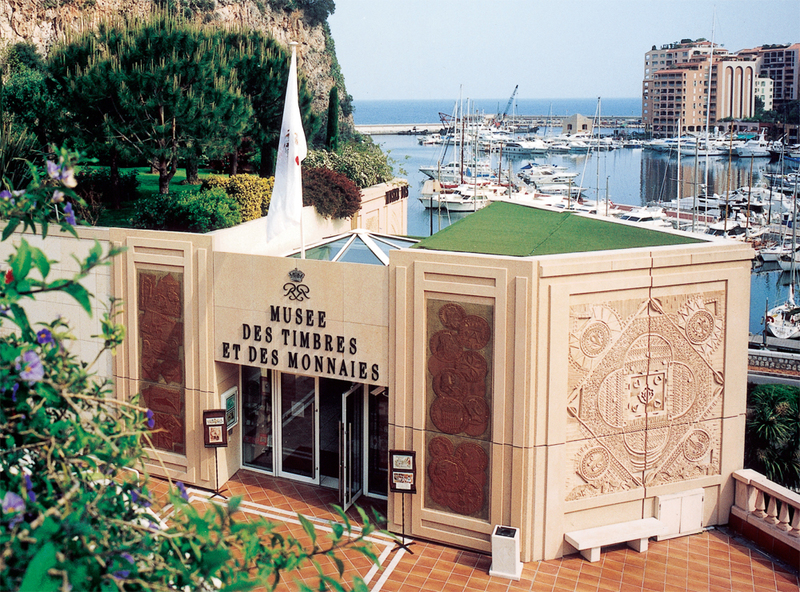 In the previous year, 1997, Alexander Kroo had proposed to the General Manager of the Office des Emissions de Timbres-Poste (Stamp issuing office of Monaco) that the exhibition planned to mark the 60th anniversary of the OETP could be combined with a suitable event to commemorate seven centuries of the Grimaldi dynasty in Monaco. Messrs Kroo and Fissore subsequently decided to organise a highly prestigious event with an international dimension. They would invite several postal administrations and aim for excellence by bringing together around one hundred true philatelic gems. These "100 of the World's Rarest Stamps and Philatelic Documents" were provided by 100 institutions and renowned private collectors, with each institution or collector submitting one rarity. This event marked a "first", and was particularly well received and complemented by a luxury catalogue, in which each item was illustrated and described in an informative manner. Over 3500 copies were sold, which is exceptional for a technical publication of this nature. The exhibition was highly successful, with both participants and public seeming to appreciate this blend of excellent classic philately combined with modern commercial products. In addition, several distinguished collectors, who agreed to exhibit a rarity at the Musée des Timbres et des Monnaies (Stamp and Coin Museum), alongside an outstanding item belonging to Her Majesty Queen Elizabeth II and from the Collection of H.S.H. The Prince of Monaco, expressed their hope that this event would be staged again. Alexander Kroo interviewed each of the exhibitors. Over two thirds of them agreed that this event should be repeated and that a highly prestigious association should be formed. It would take over a year to create the Club de Monte-Carlo de l'Elite de la Philatélie. It was deliberately decided to limit membership to institutions and about one hundred major collectors. H.S.H. 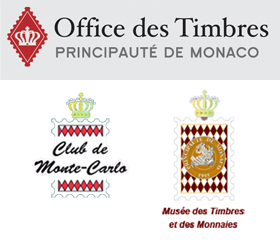 Prince Rainier III, who supported the initiative, appointed the Board by Sovereign Decree and consented to the Club being located at the Musée des Timbres et des Monnaies. In an effort to promote philately, the second edition of the exhibition "100 of the World's Rarest Stamps and Philatelic Documents" was held from 12-14 February 1999, in conjunction with a traditional philatelic fair. It was during this event, marked once again by a gala dinner presided over by H.S.H. the Prince of Monaco, that the Club de Monte-Carlo was officially created. MonacoPhil, as a major International Philatelic Exhibition, proved a great success and was held again in 2000, 2002 and 2004. In the symbolic year of 2000, the Unione Filatelica Lombarda was the guest of honour at the celebrations marking the centenary of its creation. The adjacent building used for the Monaco Top Cars Collection housed an exhibition of top quality frames. In 2002 and 2004, national federations and well-known associations were invited, each of them exhibiting around ten frames, with each selected collector providing one frame. Every new initiative has been a welcome addition to the World Rarities and the trade fair. "MonacoPhil 2006" was thus marked by the far more active contribution of Club members. The 2006 event actually included 80 frames from the federations and associations (in the Salle du Canton) with over 250 frames from members' collections (at Monaco Top Cars Collection). In 2006 Jean Fissore introduced a further innovation, by adding a prestigious collective exhibition to the event , aimed both at informing the public and providing a reference within the sector. This first collective exhibition was devoted to the Papal States. However, preparations for the 2006 edition met with a number of setbacks. 2005 was marked by the loss of two important figures. Alexander Kroo and Prince Rainier III passed away and left behind a major gap. In order to ensure continuity, in September 2005, H.S.H. Prince Albert II appointed H.E. Mr Jean Fissore as President. In February 2009, after the tragic death of H.E. Mr Jean Fissore, H.S.H. Prince Albert II nominated Patrick Maselis as the new President. At MonacoPhil 2009, the collective exhibition was devoted to Belgian philately, while the succeeding events were about the philately of the United Kingdom, the Kingdom of Sweden and philatelic literature. MonacoPhil 2015 was an opportunity to look at the wide-ranging field of polar philately and admire the collections of the club's members. MonacoPhil 2017 focused on the personality of Philippe de Ferrari in order to celebrate his 100th birthday. An exceptional exhibition on the theme of the "Americas" was also organised in the same year. In 2018, a dinner was held at the international exhibition in Jerusalem, together with a cultural visit to Bangkok organised by Mrs Ad Boonkrong. MonacoPhil 2019 will pay homage to the philately of Egypt, by means of an exhibition featuring first class collections. King Fuad and King Farouk, who were also collectors, will come under the spotlight with a set of pieces that once belonged to them. An exhibition dedicated to maritime postal history will also meet the standards expected of an international event, with collections illustrating maritime post from the different oceans of the world. A third section will be devoted to young philatelists who will also be given an opportunity to exhibit at international level. Many different events and conferences have been organised as part of the MonacoPhil exhibitions, which will also be the case with this edition.